Walton West Farm Cottages Self-cateringCottages are individually situated each having a garden and parking. A short walk to both Little and Broad Haven sandy beaches, surf and Coast Path for stunning walks. Friendly pubs with good beer and food, craft shops, general store and PO too. We have a choice of The Granary, The Long Barn or The Farmhouse for your visit. The Farmhouse was home to farmers and fishermen for about 200 years, has exposed beams, inglenook fireplace and a crog loft. Grade II Listed. Sleeps 8 in 4 bedrooms. The Granary, has a high ceiling with exposed A frame beams Sleeps 4 in 2 bedrooms. The Long Barn is a converted milking parlour, very spacious and sleeps 6 in 3 bedrooms. Cottages are individually situated each having a garden and parking. A short walk to both Little and Broad Haven sandy beaches, surf and Coast Path for stunning walks. Friendly pubs with good beer and food, craft shops, general store and PO too. We have a choice of The Granary, The Long Barn or The Farmhouse for your visit. 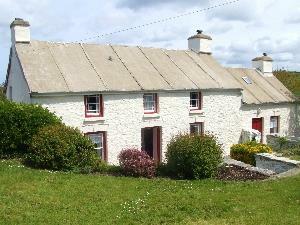 Owners live on site in The Cottage. Self contained holiday cottages -fully equipped Children welcome from any age. Six miles from Haverfordwest on B4341 to Broad Haven. After entering Broadway, past garage on right, go left to Little Haven. Single track road past church and on to crossroads. Walton West Farm Cottages can be found to your right through the white stone entrance. The Granary has a gravel drive and parking outside the entrance door. Standard width doorway with small step up into entrance and bunk room. Another small step up into lounge. Rest of accommodation level. The Cottage has a gravel drive and parking outside the entrance door. Standard width doorway and 2 steps up to dining room and another small step up into kitchen. Remainder of cottage level. There are french windows into lounge and there is a small step up. The Farmhouse has a gravel drive and parking very near to front door. Average width doorway and step down into entrance. Step down into utility room and 2 steps down into shower room. Stairs to bedrooms. Door from kitchen to lounge narrow (22 inches).